Cricket is a game of uncertainities. Cricket is the exciting outdoor game played in many countries all through the world. Cricket played using bat and ball between two teams of eleven players each. Every Cricket match divide into two innings ( except test match – it has maximum four innings ), during which one team bats, attempting to score as many runs as possible, whilst their opponents bowl and field, attempting to minimise the number of runs scored. When each innings ends, the teams usually swap roles for the next innings. The teams each bat for one or two innings, depending on the type of match. The winning team is the one that scores the most runs. Before a match begins, the two team captains meet on the pitch for the toss, with the winner deciding which team will bat first. Two players from the batting side, and all eleven players from the fielding side, then enter the field, and the bowler bowling the ball from one end of the pitch towards the other end of wicket to one of the batsmen, known as the striker. The striker’s role is to hit the ball well enough to score runs while not being dismissed. The other batsman, known as the non-striker, waits at the opposite end of the pitch near the bowler. The bowling team’s objectives are to prevent the scoring of runs and to dismiss the batsman. A dismissed batsman, who is declared to be “out”, must vacant the field to be replaced by other player of batting team. The forms of dismissal are bowled (when the bowler hits the stumps), leg before wicket (when the batsman prevents the ball from hitting the stumps with his body instead of his bat), caught(when the batsman hits the ball into the air and caught by a fielder before touching the ground), Run-out, Stumped, Hit-wicket, Time-out. Runs are scored by two main methods: either by hitting the ball hard enough for it to cross the boundary, or by the two batsmen swapping ends by each simultaneously running the length of the pitch in opposite directions whilst the fielders are retrieving the ball. Adjudication is performed on the field by two umpires, aided by a Third umpire and Match referee in international matches. They communicate with two off-field scorers (one per team) who record all the match’s statistical information including runs, dismissals, overs, etc. 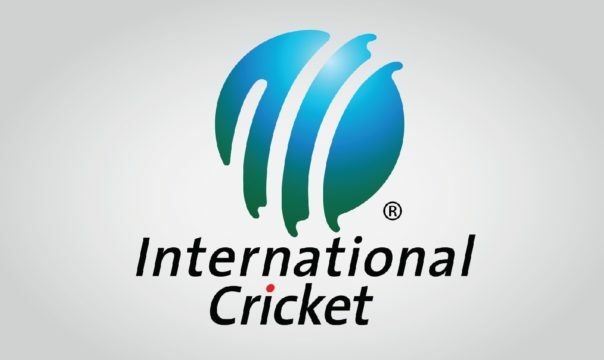 There are 107 countries which play cricket and are members of the International Cricket Council (ICC). ICC has 10 Full Members, 38 Associate Members and 59 Affiliate Members. Full Members are India, Australia, South Africa, New Zealand, England, West Indies, Zimbabwe, Afghanistan, Ireland, Sri Lanka, Pakistan and Bangladesh. Full Members can play International Test matches among them. ICC organise many events like 50 Over World Cup, 20 Over World Cup, Champions Trophy etc.